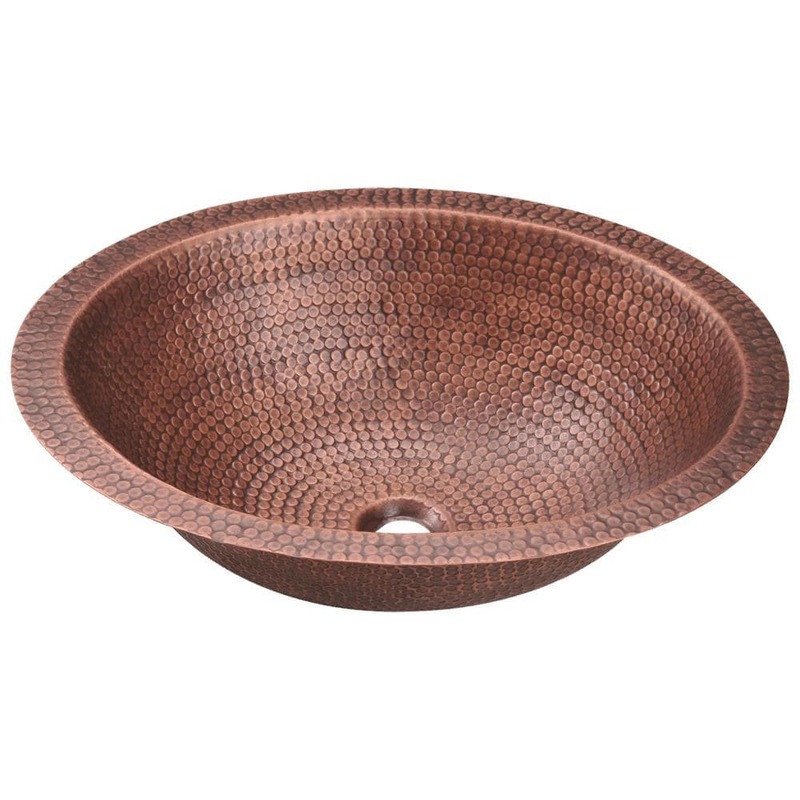 The 910 oval single bowl undermount or topmount sink is made from 99% pure-mined copper. It is comprised using one piece construction, giving you a very strong and durable copper sink. Since copper is stain resistant, it is great for busy households that benefit from low-maintenance materials. The hammered finish looks great and provides a mask for small scratches that may appear over time. The overall dimensions of the 910 are 19" x 15 3/4" x 5 1/2" with a centered drain and a required 21" minimum cabinet size. The hand-crafted copper details are sure to add warmth and richness to any decor.